Whether playing online or live there is a casino etiquette to follow to ensure everyone has an enjoyable experience. A lot of the rules that govern behaviour are not written down but are still expected to be followed by those participating to ensure that games run smoothly and nobody gets upset. This isn’t the Wild West where players get shot for looking at their cards early, but a good understanding of casino etiquette will stand you in good stead with your gaming peers. Of course, every casino is different but here are some general rules that are in your best interest to follow. This one may seem pretty obvious but it can be surprising and annoying for others if someone sits down at a game and badgers the dealer for the rules. One or two clarifying questions can be fine but the dealer isn’t usually there to teach people how to play the game. There are exceptions, particularly with online games with live dealers who are sometimes okay with walking new players through the rules, but in general, make sure that you are clear on the rules before joining in and watch a few hands first. Not only is it polite, but you will be more successful and increase your chances of winning. There are plenty of online casino tips and tutorials available to help you out. One of the most important things with slots is to be patient. Often our favourite slot is being used by another player and it is not cool to linger around in an attempt to jostle them off the machine. Take your time, be patient, and you will get your shot soon. Always be polite if someone is sitting at the slot and not playing to find out their intentions. This leads to the next point – seats are for players. If it is quiet then it could be okay to use one to rest, but if the casino is busy it can be frustrating for others to take a seat and not play. This also applies to playing multiple machines at once. Again, it can be fine if the casino is quiet, but rude if it is busy and someone is taking up a number of slots. There are a few general rules that apply to most card games, such as casino etiquette blackjack that you should follow. When playing blackjack online as an example, players simply click for the next hand to move on with the game. Playing live involves clear hand gestures so that the dealer knows your intentions. As a rule, if the cards are dealt face down they can be touched, if they are face up they should not be touched. Also, leaning back and away from the table with your cards can be interpreted as an impropriety. When you first sit at the table you should wait for the end of the hand, throw, or spin before buying in so as not to interrupt the game. Also, when you buy in, lay your cash down in front of you so it can be counted correctly and in clear view, and not handed directly to the dealer. This will protect you and the casino from any potential miscounting issues. Even if someone asks you to it is never a good idea to touch someone else’s chips. It is also inappropriate to ask someone else, especially the dealer, to watch your chips while you dash off for a quick trip to the bar or bathroom. A huge no-no and one that could get you into serious trouble is interfering with the chips you have wagered while the game is in play – either removing or adding to them. Players have tried to cheat by removing chips from a losing hand or add them to a winning one but there are cameras everywhere so even if your move was completely innocent it may not be interpreted that way by the casino. It is much better to accept the hand and wait for the next one. Just as you should refrain from touching another player’s cards or chips, you should also refrain from giving unsolicited advice or criticism. 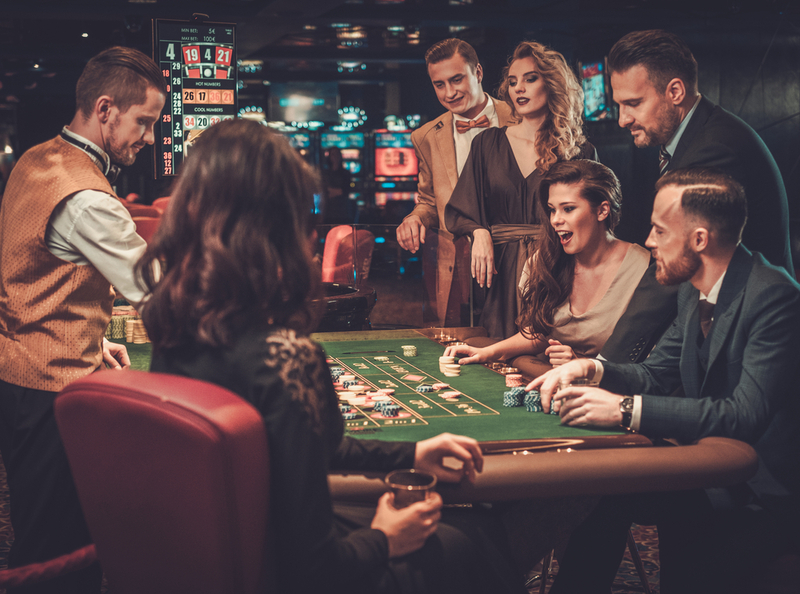 Gaming at a casino can be sociable, but it is certainly not a team sport and everyone has their own tactics and strategy for beating the house. Talking badly about someone, especially if they are losing, can lead to aggression or even a confrontation which is not cool. If you do not like the way another person is playing the best thing to do is take your stack and play at another table. There are a number of guidelines when it comes to casino etiquette and we have touched on a few here. The main rule of thumb is to use common sense, be polite, and watch how others are playing at the casino to pick up on those unwritten rules.